SMOK Infinix is a pod mod with a beautiful and sleek design. 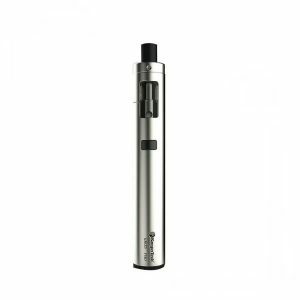 Thanks to its compact size, it is the best partner wherever you go. It works with a 250mAh capacity battery. As for Infinix cartridges capacity, they can hold 2ml of e-juice. SMOK Infinix is a pod mod with a beautiful and sleek design. Thanks to its compact size, it is the best partner wherever you go. It works with a 250mAh capacity battery. As for cartridges capacity, they can hold 2ml of e-juice. 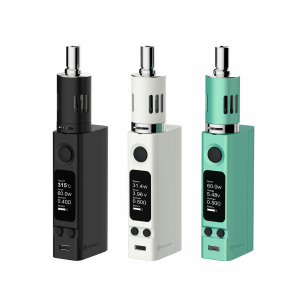 The kit comes with two empty cartridges that you can feel with any e-liquid you like. In general, this all-in-one system is very easy to use. The device features a battery life LED light indicator and a micro USB charging port. 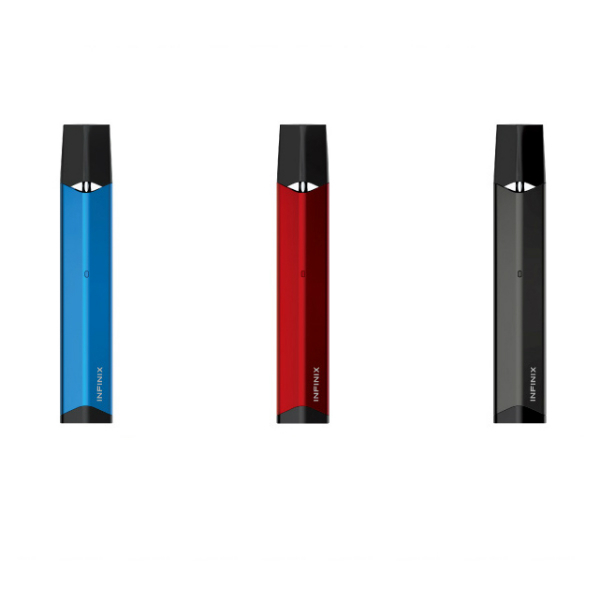 As for design, the SMOK Infinix pod mod looks elegant because of its slim shape. 3 stylish color finishes are available. Blue, gun metal, and red. What is more, this pod system is very lightweight thus convenient to carry. 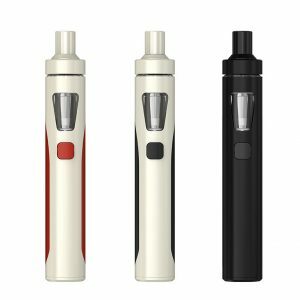 In sum, SMOK Infinix features all you need to have a satisfying vaping experience.